Ah ha! 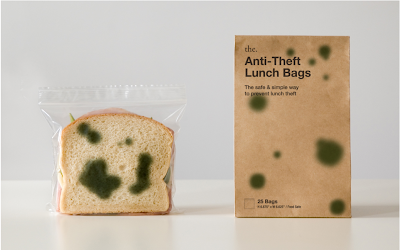 That'll show those pesky lunch thieves a lesson. 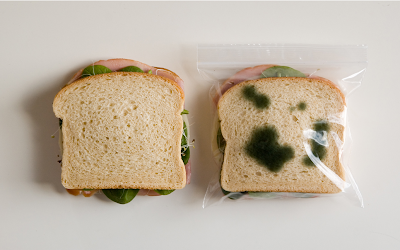 Fool your office lunch thief into thinking your lunch has gone moldy with these sandwich bags that have green splotches printed on them. 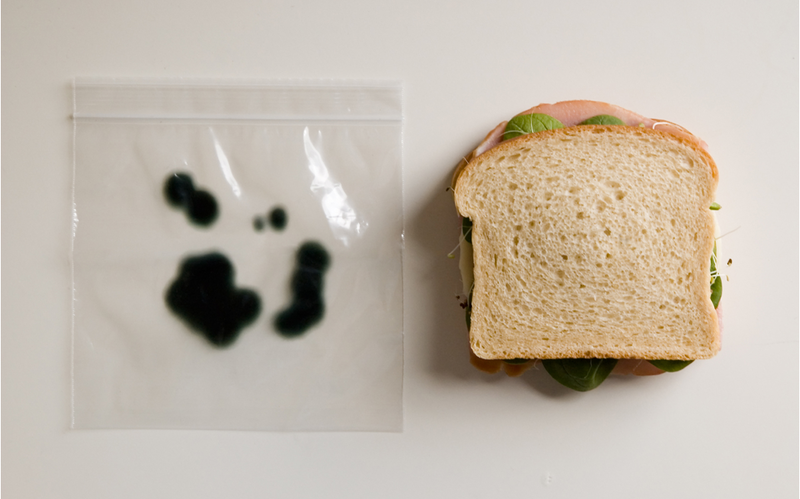 They're reusable, recyclable, and available at the.